Many practices and facilities accept state Medicaid. After enrolling with Medicaid they begin seeing patients. Shortly thereafter, they may realize they’ve made a grave mistake as they didn’t enroll with ALL Medicaid products and now are not being paid for the patients they’ve seen. This blog will help you figure out the difference between Medicaid and Medicaid Managed Care Plans and why it’s a good idea to be enrolled not only with your state’s Medicaid plan but also all Medicaid Managed Care plans offered in your state. Medicaid Managed Care Plans provides for the delivery of Medicaid health benefits and additional services through contracted arrangements between state Medicaid agencies and managed care organizations (MCOs) that accept a set per member per month (capitation) payment for these services. All 50 states offer Medicaid – Some have clever names and others are just called Medicaid. Often to enroll in your state’s Medicaid plan, they will require that you first enroll with Medicare. Often physicians will say I don’t want to enroll with Medicare, I only want Medicaid. However, there is usually no way around this requirement. You do not have to actually see Medicare patients, only enroll in their program. Enrolling in Medicaid is often a daunting task. Some applications can be around 300 pages and you must not leave any fields blank. Once you are enrolled in Medicaid, it is imperative that your staff knows how to run an eligibility and benefits check on patients before you see them. The reason this step is so important is because Medicaid has very specific rules about who can be on traditional Medicaid (normal Medicaid) and who must enroll in a Medicaid Managed Care Plan. If you see a patient who is enrolled in a Medicaid HMO and you only accept traditional Medicaid you will not be paid for your services. Medicaid HMOs exist in almost every state. These plans are still considered Medicaid, but they are separate from traditional Medicaid. You will need to enroll in traditional Medicaid first before you can enroll in any Medicaid HMOs in your state offers. Most states require all Medicaid beneficiaries to roll over to a Medicaid HMO Plan after 30 days of being on traditional Medicaid. The only people that are exempt (usually) are those that are disabled and receiving SSI, those who are over the age of 65 and those who are on Workman’s Compensation in addition to Medicaid. 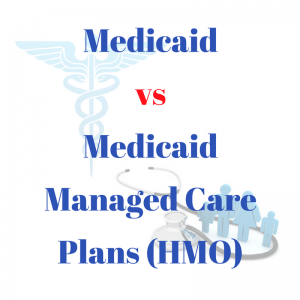 All others are generally rolled over to a Managed Care Plan, which means they must select a Medicaid HMO and a PCP. If you see one of these patients and you are not enrolled in their HMO and selected as their PCP, you will not be reimbursed for your services. If you are a specialist, you must be enrolled in their HMO and have a referral from the PCP or your claim will be denied. Consulting with an expert in credentialing is the best way to ensure your claims are paid in a timely manner and that you are enrolled with all the prominent insurance carriers in your area. Credentialing is the heart and soul of billing. If your credentialing is not completed correctly, you will surely miss the mark for your revenue goals. Let STAT MedCare assist you today! • Follow us on LinkedIn. • Follow us on Google+. • Sign up for our newsletter. Cynthia Young is the CEO of STAT MedCare Solutions which is a national billing, credentialing and practice management consultant. STAT is a U.S.-based, national provider of credentialing, payor enrollment, rate negotiation, and other credentialing related services.